The DIY Party Board is a tool I came up with while working on the WeR Memory Keepers product development team and was fortunate enough to see through from start to finish. As a party blogger and stylist, I often had the need for certain tableware items in specific colors to match my theme. 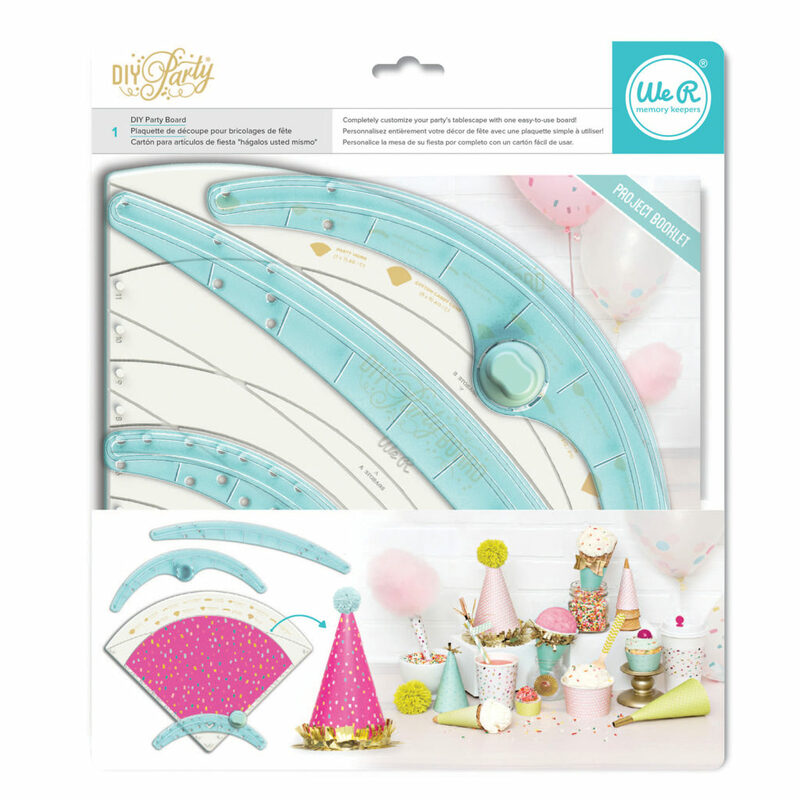 This tool bridges that gap and allows paper crafters to create over a dozen partyware items with one simple board. No need for expensive die-cutting machines, this tool can make anything from party hats and cupcake wrappers to adorable ice cream cone wrappers, coffee sleeves, and more! This product was featured on HSN and is currently being sold by domestic and international retailers. Conceptualization, packaging, instruction booklet, and photo styling done by myself. Technical drawings designed in conjunction with Tavnir Carey. The video below was shot by Jordan Kartchner.